Iris Robinson has formally resigned her seat as a member of the Northern Ireland Assembly. Earlier today the Treasury in London confirmed that Mrs Robinson had stepped down from her role as a Westminster MP. She announced two weeks ago that she would be leaving public life for health reasons. Since last week she has been at the centre of a cash procurement controversy. Her husband, Peter Robinsion, temporarily stepped aside from his role as First Minister in the Northern Ireland Executive on Monday but he remains as leader of the DUP. Mr Robinson is expected to lead the DUP in negotiations with Sinn Féin tomorrow or Friday. The two main parties are attempting to agree solutions to issues that threaten the future of the power-sharing administration at Stormont. Those talks continued at Stormont today. For several months the two main parties in the Stormont executive have been bickering their way to a crisis. However, the DUP's internal problems may have spawned a new realism. The attempted murder of a PSNI officer last week reminded all the parties of what happens when politics fail. For two days the DUP and Sinn Féin have been trying to agree solutions to issues like the devolution of justice and policing. The acting Stormont First Minister, Arlene Foster of the DUP said her party wanted to see the devolution of policing and justice but said 'there are things that need to be sorted out, issues around parading, we will work to have those sorted out and bring devolution of policing and justice to Northern Ireland. 'But, we must do it in a way that we bring it to a Northern Ireland that is stable so the policing powers that come here will be durable and will be lasting', she said. No deal is in place but the 'no rows in public while we negotiate in private' policy was in evidence when Sinn Féin's Gerry Kelly and the DUP's Nelson McCausland featured on RTÉ’s Prime Time last night. Minister for Foreign Affairs Micheál Martin and Northern Ireland Secretary Shaun Woodward met in Dublin last night to discuss the political situation. 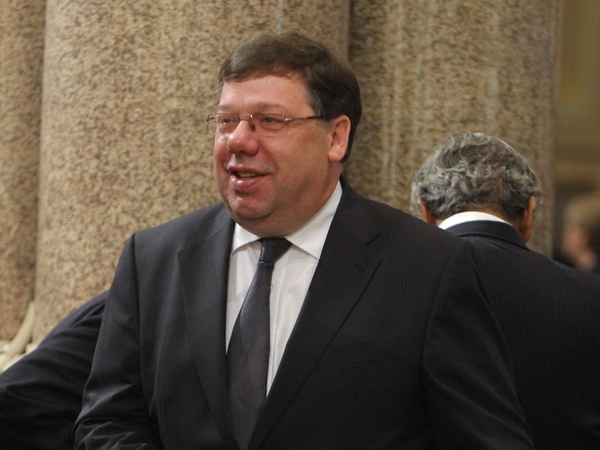 Taoiseach Brian Cowen and British Prime Minster Gordon Brown will meet in London tomorrow.